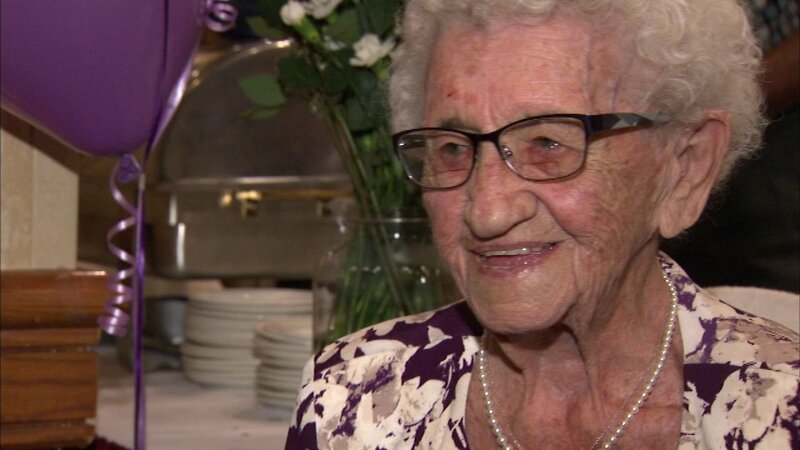 Louise Schaaf turned 110 on Sunday. CHICAGO (WLS) -- A Chicago woman celebrated a big milestone on Sunday. Family and friends gathered to wish Louise Schaaf a happy 110th birthday. Louise is a die-hard Chicago sports fan and was only 2 when the Cubs last won the World Series. The Blackhawks are her favorite team and Louise got a happy birthday phone call from Bobby Hull. Louise has two children, four grandchildren, five great grandchildren and five great-great grandchildren.